﻿ Top 10 Best Mom Cars - Which Cars Do Moms Really Drive in the U.S.? Which Cars Do Moms Actually Drive? In TV ads, moms drive huge, expensive vehicles, like the Chevrolet Suburban or the Volvo XC90. After a while, you start to suspect that everyone except you is enjoying automatic liftgates, rear entertainment systems, and super-advanced safety features. We’ll tell you a secret: most stay-at-home moms don’t drive new cars. We looked at almost 150,000 quotes on Compare.com and found that the best mom cars for SAHMs and homemakers are older sedans and SUVs. Makes sense, right? Not only are they inexpensive to buy, but they’re also cheap to insure. Nine of the top 10 cars for full-time moms cost less than $1,000 per year to insure, on average. Here are the most common cars driven by moms who search for insurance quotes on Compare.com. 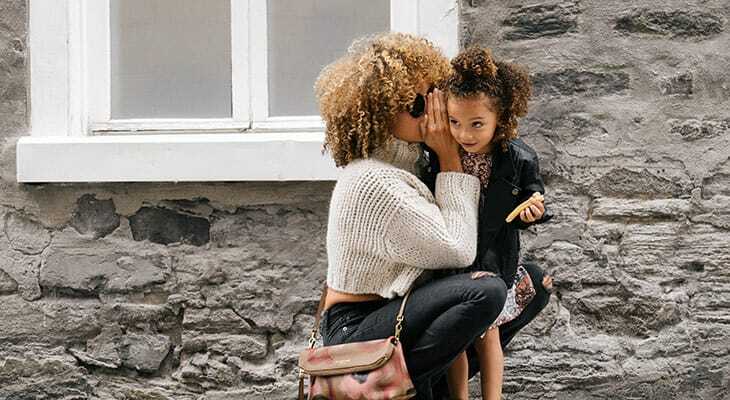 We analyzed thousands of car insurance quotes on Compare.com to find the cars most often driven by full-time moms and homemakers, along with the average model year and average insurance quotes. cheap to insure. A stay-at-home mom who drives a Honda Accord (including all model years) gets an average Compare.com insurance quote of $953 per year. “With its potent powerplants and firmer suspension tuning, the Altima edges a bit more toward sport and away from comfort and refinement,” Motor Trend wrote when the 2005 Altima came out. The Altima’s roomy — perfect for kids — and the higher-end trims have a few little luxuries for moms, like heated seats and leather upholstery. The average insurance quote for an Altima-driving mom: $991. The Ford Explorer, a classic midsize SUV, is perfect for hauling around kids, dogs and gear. While lacking the longevity of a Honda or Toyota, the Explorer has plenty of power. The XLT model has a V8 engine and a 3500-pound trailer towing capacity. Some 2000 Explorers even have an option that was advanced for the time: a sonar warning system that beeps to indicate a rear obstacle when backing up. The average Compare.com quote for a mom in an Explorer: $971. “My dad had a ’95 Camry that he traded in at 290,000 miles and when he drove his new Impala off the lot he missed the smooth ride of his Camry,” one reviewer wrote on Edmunds. That, in a nutshell, is why so many people — especially moms — love their Camrys. The 2000 Camry performed well in front crash tests, and newer models have a ton of safety enhancements. On average, a Camry-driving stay-at-home mom gets an insurance quote of $961. The F-150 isn’t your typical grocery-getter. It’s not fuel-efficient, as it only gets a combined 16 mpg (in the 2000 model year). And it’s not as family-friendly as a minivan, although you can fit up to three car seats in the back. But it’s no surprise that America’s favorite pickup truck is popular with parents. It’s reliable, powerful and can haul almost anything. It’s pretty safe, too, although its crash test ratings improved substantially for the 2009 and later model years. What about car insurance? For moms, the F-150 is one of the cheapest vehicles to insure on our list, with an average quote of $913. The Honda Civic is cheap to buy, cheap to drive, cheap to fix and cheap to insure, with an average Compare.com insurance quote of $901 for a stay-at-home mom. But is the Civic a good family car? Sure! Kelley Blue Book named the 2016 model to its list of the 16 best cars for families, citing its safety, fuel economy and overall quality. Older Hondas are great, too, although if you own one you should search the VIN on SaferCar.gov to find out if you need to replace a defective (and dangerous) Takata airbag. The Ford Expedition is a beast. The older models seat up to 9, making the Expedition ideal for bigger families. People who own the 2001 model say it’s super comfy, it handles well in the snow, and with conscientious maintenance, it just keeps going. For moms and homemakers who got a Compare.com insurance quote for their Expedition, the average premium was $952 per year. “The Best Family Car in the World.” That’s what Kelley Blue Book calls the 2018 Honda Odyssey, because of its superior handling, cushy interior (including Magic Slide seats) and great safety features. You could say the same of any model year Odyssey, which has long been one of the top cars for moms. With an average insurance quote of $902 for moms, it’s also one of the cheapest vehicles to insure on our list. “Toyota’s long-lived sedan delivers an impressive blend of frugal fuel economy, refinement, reliability and durability,” Cars.com said of the ’02 Corolla. Newer models update the Corolla’s styling (don’t you love the new hatchback?) while keeping everything that makes it a great car. The average mom’s Corolla insurance quote on Compare.com: $948. With a V6 engine and a surprisingly spacious interior, the Impala is a great family car. A front bench seat on some models allows the Impala to seat six passengers. The 2005 model even has a spoiler on the back for a little extra oomph. The only downside? The Impala is the most expensive vehicle to insure on our list of the top mom cars: the average Compare.com quote is $1,031. As you’re shopping for insurance, remember that you’re not average! Your insurance quotes will look different because rates are affected by the state you live in, your driving history, your ZIP code, your age, and a ton of other factors. So if you’re trying to find cheap car insurance for moms, the solution is comparing real-world personalized quotes on Compare.com. It’s free, it’s fast and it works!